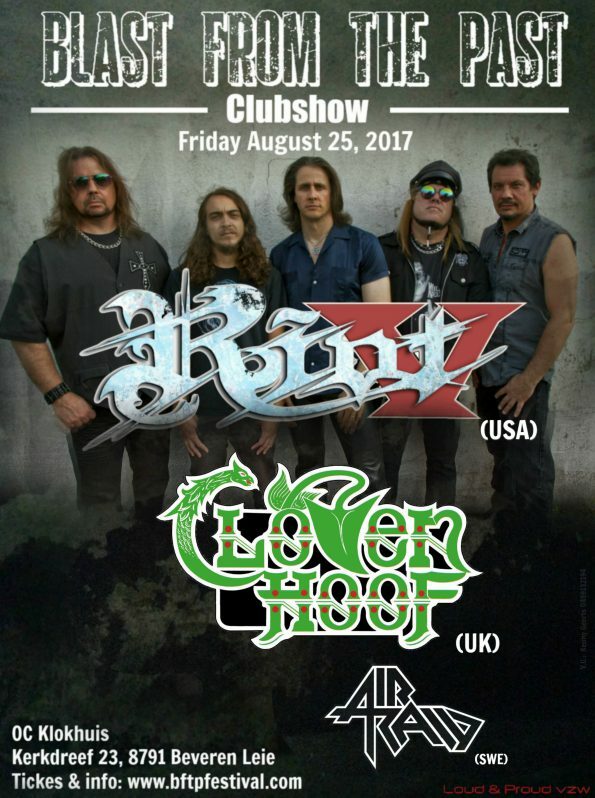 Cloven Hoof, a fantastic NWOBHM band from Wolverhampton, United Kingdom, that was active from 1979 to 1990, and again from around 2000 onwards. The band was associated with the new wave of British heavy metal movement, alongside bands such as Iron Maiden, Saxon and Diamond Head. Opening act: swedish band Air Raid who was formed in 2009 by Andreas Johansson and Johan Karlsson. After several line-up changes they eventually found bass player Robin Utbult and later, drummer David Hermansson and singer Michael Rinakakis. Location: Kerkdreef 23, 8791 Beveren Leie (Waregem) Belgium.